Devon, Pa. – May 26, 2017 – As Taylor St. Jacques trotted into the Dixon Oval once more atop Heritage Farm’s Charisma on Friday afternoon, she had a lot riding on her shoulders as she has been the leading force dominating the equitation divisions thus far. 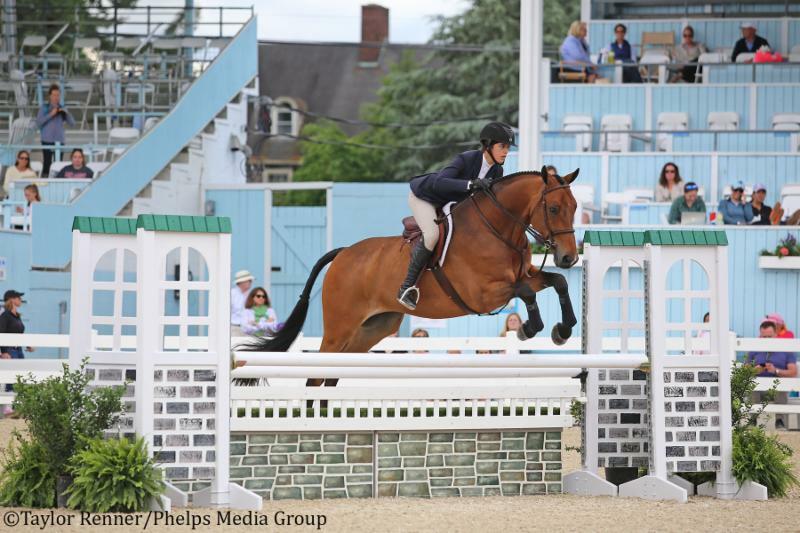 The 18-year-old superstar from Glen Allen, Virginia, walked away on Thursday with three blue ribbons – one from each section of the WIHS Equitation Classic Jumper Phase, the Platinum Performance/USEF Show Jumping Talent Search and the Pessoa/US Hunter Seat Medal. 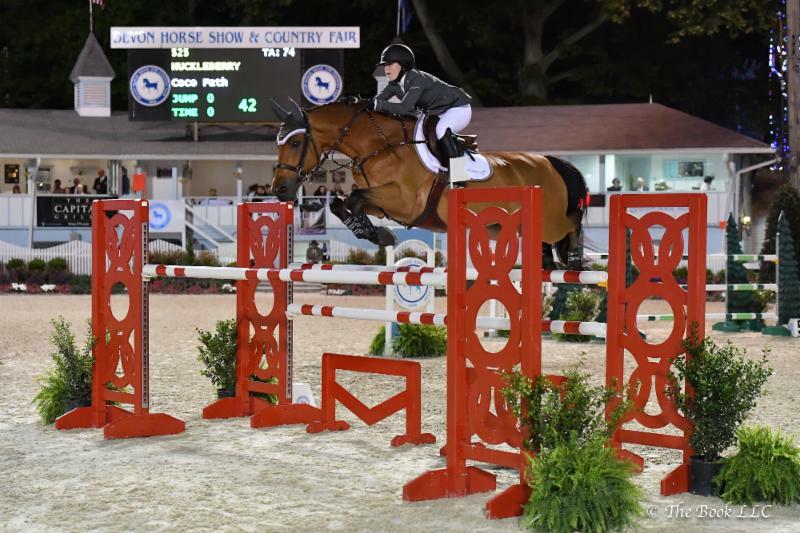 On Friday, she capped off an incredible start to the 2017 Devon Horse Show by winning the R.W. “Ronnie” Mutch Equitation Championship. St. Jacques’ additional victory in her section of the ASPCA Maclay on Friday morning was icing on the cake as it meant she and her mount were not only four-for-four and gaining more valuable points towards indoor finals, but they were also in tip-top shape entering into the afternoon’s highly-anticipated class. Winners from each section of the four equitation divisions were invited back to participate in the prestigious R.W. “Ronnie” Mutch Equitation Championship to vie for the coveted trophy and tricolor ribbon. Top names joined St. Jacques in the ring to give it a shot over the Allen Rheinheimer-designed track, including Samantha Cohen, Haley Redifer, McKayla Langmeier, Annabel Revers and Cooper Dean. It was a year of firsts for St. Jacques and the Heritage Farm team. 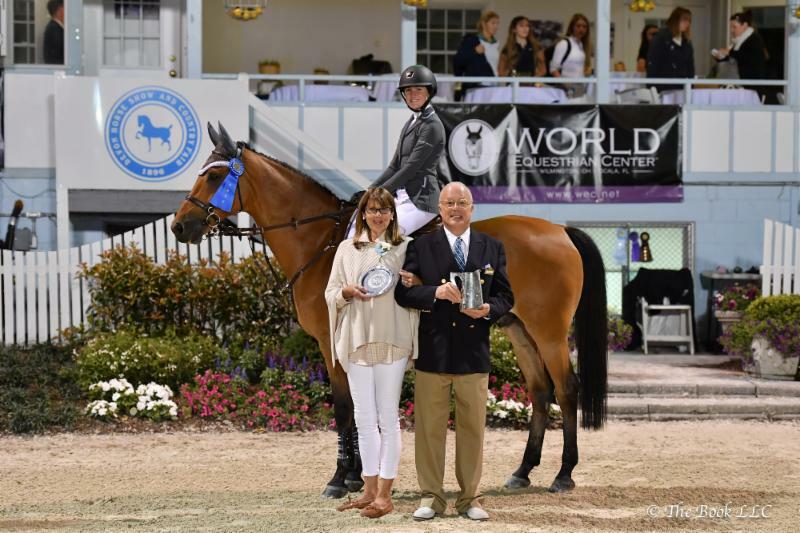 While Heritage Farm owner and head trainer Andre Dignelli is notorious for producing winners in all three rings at the most prestigious horse shows and finals throughout the country, Dignelli had yet to coach a rider at Devon to win every equitation class in addition to the R.W. “Ronnie” Mutch Equitation Championship. Both Dignelli, who owns Charisma, and St. Jacques were quick to praise the 10-year-old bay Warmblood gelding’s performance. Charisma has been a versatile horse, campaigning not only in the equitation but also in international hunter derbies. St. Jacques paired up with him just last year during regionals and advanced to finals in the fall. A magical ending concluded St. Jacques’ final time competing in the equitation at Devon Junior Weekend. In terms of the future, St. Jacques has her sights set on participating in the U25 jumper division and hopefully competing at the Olympic Games one day. Finishing behind St. Jacques to secure reserve champion honors was McKayla Langmeier and Calberon B, owned by Linda Langmeier. Andre Dignelli – Head trainer of Heritage Farm, Inc.
1. Charisma / Taylor St. Jacques / Heritage Farm, Inc.
6. Kori D’Oro / Cooper Dean / Heritage Farm, Inc.
3. 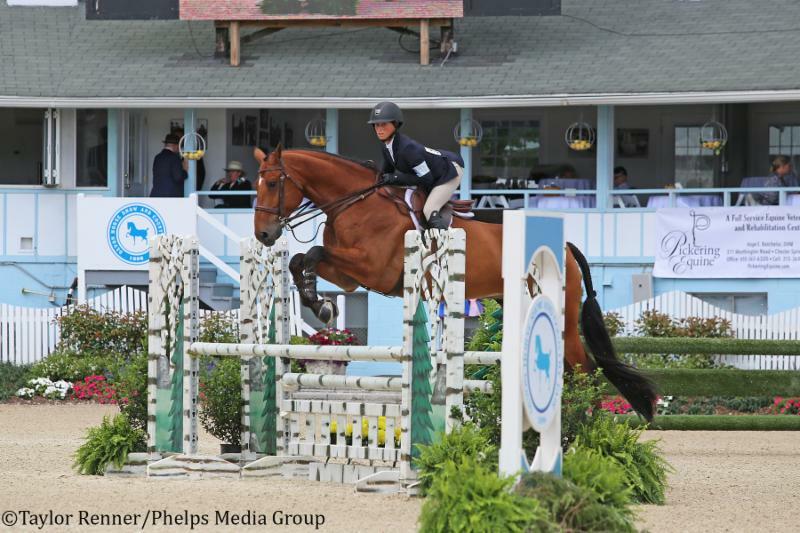 Kori D’Oro / Cooper Dean / Heritage Farm, Inc.
Later in the evening, 16-year-old Coco Fath of Fairfield, Connecticut, captured the win in the second round of the Junior Jumper championship aboard Hillside Farm LLC’s Huckleberry. Twenty-one junior riders returned after Thursday’s Junior Jumper Speed Stake to compete once again under the lights in the Dixon Oval. Only seven were able to clear Kelvin Bywater’s first round track to advance to the jump-off. Taylor St. Jacques, who has had a stand-out Junior Weekend at Devon thus far, and her own Qantar Des Etisses were first to return for the jump-off, setting the standard to beat at 4 faults in a time of 34.914 seconds, which would garner them third place as the fastest of the 4-faulters in the final standings. Jorja Rose Jones and Diane Master’s Light Show produced a double-clear effort a few rounds later, stopping the clock in 42.081 seconds. 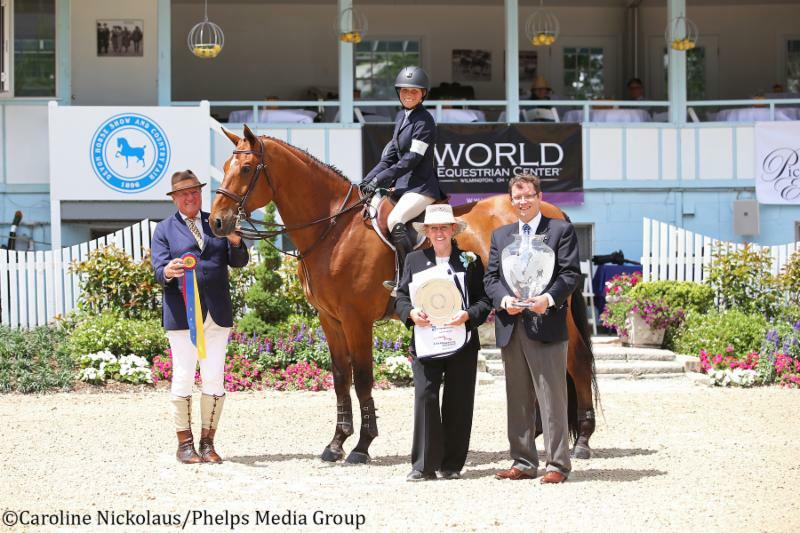 Yet their time would earn them second place honors in the end as Fath and the 10-year-old Dutch Warmblood gelding jumped clear and bested their time by four seconds in 38.906 seconds for the win. Arena Eventing: On Sunday, May 28, at 7 p.m., some of the best riders in the world will compete in Devon’s $50,000 Arena Eventing class. The class will combine a cross-country phase, which is ridden over fences, outside and over varying terrain, with a show jumping phase, which is ridden over fences inside a ring. The Arena Eventing class at Devon is only the fourth of its kind in the world. Budweiser Clydesdales are back: The famed Budweiser Clydesdales will be pulling the Budweiser wagon into the Dixon Oval on Friday, June 2, and Saturday, June 3. 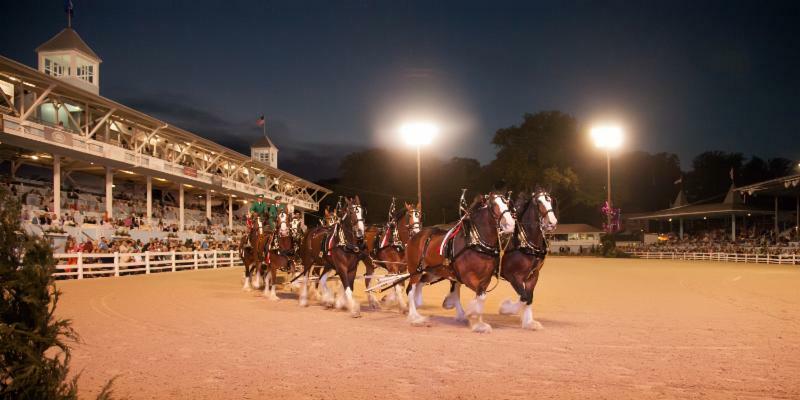 The Clydesdales do not make an appearance at Devon every year so be sure to catch them this year! Church Farm School Choir: As part of Devon’s Tribute to Heroes on Memorial Day, this choir from the all-boys day and boarding school in Exton will perform at Devon for the first time. The group performs all over the country including Carnegie Hall, the U.S. Naval Chapel in Annapolis and the National Cathedral in Washington D.C. as well as internationally. New two-story grandstand: The East 4 Grandstand is now a two-story tent structure. The upgrades added a second floor to the structure, which will include tables for up to six people. The first floor will hold the existing E4 boxholders. Want to reserve a table? Contact the Devon ticket office at 610-688-2554 for more information. New handicapped facilities: Handicapped facilities have been updated for this year’s show. There are now men’s and women’s handicapped-accessible restrooms under the East 1 Grandstand. This is adjacent to the handicapped-accessible seating in the East 2 Grandstand. Brunch at the Tea Cart: The Tea Cart continues to add to its menu with new brunch options. The offerings will include quiche and ingredients to make your own mimosas. Be sure to check out these new offerings and much more throughout the 2017 Devon Horse and Country Fair!